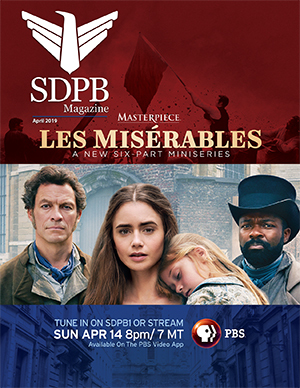 South Dakota Public Broadcasting (SDPB) is a dual licensee, meaning it has both public television (SDPB Television) and public radio (SDPB Radio) stations. Below are some points of clarification about the different elements of public broadcasting. Our network should be referred to as South Dakota Public Broadcasting or SDPB. Departments within the network should be referred to as SDPB Television, SDPB Radio, SDPB Education & Outreach, etc. Designations like "SDPTV," "South Dakota Public Radio," and "SDPBS" are incorrect. PBS (Public Broadcasting Service) is a non-profit media enterprise founded in 1969 that is owned and operated by the nation's 348 public television stations. Available to 99 percent of American homes with televisions and to an increasing number of digital multimedia households, PBS serves nearly 90 million people each week. PBS oversees program acquisition, distribution and promotion; education services; new media ventures; fundraising support; engineering and technology development; and video marketing. NPR (National Public Radio) is a producer and distributor of noncommercial news, talk, and entertainment programming. A privately supported, not-for-profit membership organization, NPR serves an audience of 26 million Americans each week in partnership with more than 800 independently operated, noncommercial public radio stations. Each NPR Member Station serves local listeners with a distinctive combination of national and local programming. CPB (Corporation for Public Broadcasting) is a private, non-profit corporation that was created by Congress in 1967. It is not a government agency. It promotes public telecommunications services (television, radio, and online) for the American people by investing in more than 1,000 local radio and television stations. CPB is the largest single source of funding for public television and radio programming and most CPB-funded programs are distributed through the Public Broadcasting Service (PBS), National Public Radio (NPR), American Public Media, and Public Radio International (PRI).